How long does it take to reach golden monkeys? The time to spend in the jungle is not specific. It can be as short as 3o minutes to several hours depending on the speed of movement for the monkeys. 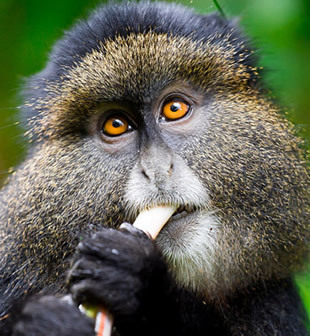 However, golden monkeys do not go into higher altitudes like gorillas hence sparing travelers several hours of hiking.